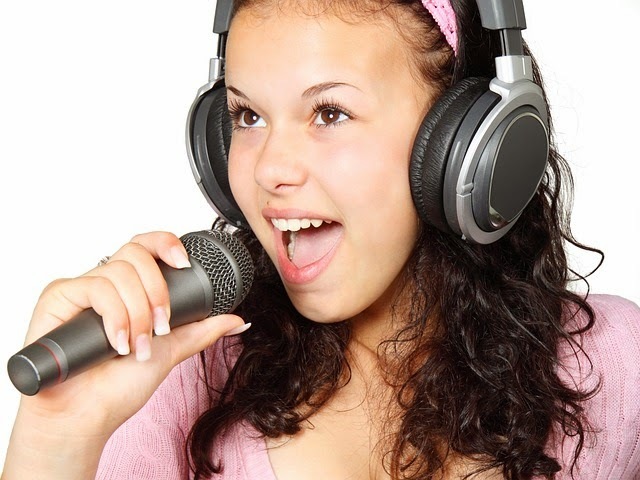 Learning About Music: So You Wanna Sing - Do You? So You Wanna Sing - Do You? Since the beginning of man's history people everywhere have enthralled their voices in song to communicate, remember, mourn, pray, or to give praise. A singer is the colorful storyteller, using song and their voice to express the feeling that needs to be conveyed. From a few friends around the campfire to fans flocking to a sold out concert, singing and music bring people together. Before the invention of drums, flutes, or pianos, the human voice was and still is the first and foremost instrument. Through history, music and singing voices were a part of religious ceremonies of the Egyptians, later by the Greeks for entertainment. After the rise of Christianity, monks sang single lined chants, that would eventually form the foundations of classical music. It became more popular to add voice to instrumentals. Later, singers called minstrels traveled across Europe telling their stories before kings. Today the love of music and singing is a major part of any and all cultures around the world. From the invention of the phonograph to digital downloads and YouTube. In the United States you will find a huge variety and blend of musical styles. There's rock and roll, heavy metal, pop, blues, folk, country, rap, hip-hop, gospel, and the list goes on. You can be singing gospel hymns in your church choir and rapping in the shower. Giving karaoke singing a go or reciting a jingle from your favorite T.V. commercial. Your possibilities for learning to sing any style are endless. Simply put: when air is exhaled through the lungs and pass over the vocal cords, causing them to vibrate, your singing voice is created. There's a little more to it than that, if you are looking to set singing goals. There are four important parts you must learn about are: breathing, voice, rhythm, and listening. Breathing is absolutely essential to singing. Breath control is the basic foundation of singing. Learning to control your diaphragm and muscles in your abdominal area - in and out of your stomach, not your chest. Inhale slowly and deeply through your nose. Allow for the breath to fill your abdomen first and then rise through your chest to your throat. Exhale from your chest to your belly, then out. Practice inhaling for the count of five, holding for five, and then exhaling for five. Keep your stomach relaxed. Voice control follows proper breathing. This means working on pitch and voice register. Pitch is how high or how low the sound is when you sing a note. Correct pitch will depend on your singing voice sounding in tune with the rest of the music. There are many singing voice types such as soprano, alto, tenor, and bass. The ranges run from soprano(high) to bass(low), for example. You voice changes as it resonates in various parts of the body. This is known as your registers - a chest voice, a head voice, and middle(or mixed) voice.Try sliding your voice up and down a scale of notes, from low to high making an "ahh" sound. Notice where your voice resonates. High notes are generally created in your head(throat and nasal cavity), lower notes resonate in your chest, and mid range note resonate in the middle or from the back of your mouth. There you have it! Rhythm is the song's tempo or beat that sets the pace or the mood. Think of it like dancing. When the rhythm is fast, the faster you feel like dancing and vice-versa. It's extremely important to keep the timing of the song when singing. Singing out of sync with the song, whether too fast or too slow lacks flow and sounds separate from the song as opposed to being part of it. Try tapping your foot when singing a song to help you keep time with the beat and transitions. Listening to yourself is the best feedback you can get to get an idea as to where you are at in your progress. Especially if you are still building your singing confidence. "But I sound so different! ", you say after listening to a recording of yourself. This is because you usually hear our voice through our bones and cartilage in our head, so it sounds different then hearing it through the air. Questions to consider: Are you in tune? Is your breathing natural or forced? Are you in tempo? Do you like what you hear? Listening to the honest opinion of others can also prove to be valuable. Be prepared for honest criticism and you will quickly improve. BY CLICKING THE PHOTO BELOW!